WHAT MAKES TBC A REAL DIGITAL COIN OR CRYPTO-CURRENCY? 1. IT HAS A BLOCKCHAIN EXPLORER THAT CREATES AND RECORDS A DIGITAL LEDGER OF TRANSACTIONS AND SHARE IT AMONG A DISTRIBUTED NETWORK OF COMPUTERS PUBLICLY. 2. IT USES CRYPTOGRAPHY TO ALLOW EACH PARTICIPANT ON THE NETWORK TO MANIPULATE THE LEDGER IN A SECURE PROCESS WITHOUT A NEED FOR A CENTRAL AUTHORITY. 3. THIS PROCESS MAKES TBC A REAL DECENTRALIZED DIGITAL CURRENCY. WHAT MAKES TBC UNIQUE AMONG DIGITAL CURRENCY? 1. TBC HAS A SOLID FORMULA FOR ITS OWN VALUE CREATION.IT IS BASED ON THE TOTAL NUMBER OF HOLDERS (USERS/MEMBERS) MULTIPLIED BY 1 EURO RATED BY 1% TO 5% DAILY DEPENDING ON THE GROWTH OF THE REGISTERED USERS. 2. TBC HAS THE ULTIMATE PRICE WHICH IS 1 BILLION EURO. 3. TBC DOESN'T NEED A MARKET TO PRODUCE ITS VALUE. 4. TBC IS A USER'S BASED CURRENCY THAT MAKES IT CALLED AS "THE FIRST ABUNDANCE BASED CRYPTOCURRENCY". IT IS THE ONLY CRYPTO-WALLET THAT HAS A GLOBAL CURRENCY CONVERSION OPTIONS. IT HAS A CUSTOMIZED FEES CHARGE OPTIONS FOR MINING FEE. 6. TBC WALLET HAS A LIVE TRANSACTION HISTORY WHICH CONTAINS CONFIRMATION AND THE TRANSACTION ID (TX ID) WHICH IS LINKABLE TO THE PUBLIC LEDGER THAT SERVES AS THE RECEIPT OF ANY TRANSACTION MADE IN THE WALLET. WHY TBC BEHAVES FASTER THAN BTC? 1. TBC WALLET CONFIRMATION FOR ANY TRANSACTION WOULD TAKE FOR AT LEAST 1 TO 3 CONFIRMATIONS ONLY BEFORE THE COIN VALUE IS FULLY TRANSFERRED OR RECEIVED UNLIKE BITCOIN AND OTHER COINS IT WOULD TAKE FROM 6 TO 10 CONFIRMATIONS TO MAKE IT ACTIVE. 2. SO, IT IS FASTER TO MAKE ANOTHER BACK TO BACK ACTIONS FOR THE TBC WALLET AS COMPARED TO OTHER DIGITAL COINS. 3. 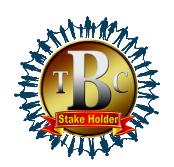 TBC IS NOT DESIGNED FOR A NETWORKING OR MLM FUNCTIONS JUST TO GENERATE ITS VALUE. BECAUSE TBC PRODUCES ITS VALUE BASED ON THE NUMBER OF USERS ADDED DAILY. THAT'S WHY IT ONLY GOES UP ITS PRICE AND NOT GOES DOWN. IT MUST BE TRUE BECAUSE USERS ARE NOT DECREASING. THUS, THIS IS HOW TBC GIVES MORE VALUE AND IMPORTANCE TO THE USERS THAN THE DEMAND OF THE SALES IN THE MARKET FOR MARKET BASED COINS. WHAT ARE THE FACTS BEHIND THE CREATION OF TBC? WHY IT IS NOT FOUND IN THE MARKET CAP? 1. TBC IS CREATED FOR THE MISSION TO END POVERTY GLOBALLY AND EQUALIZE THE RICH AND THE POOR. 2. WE ALL KNOW THAT THIS MISSION COULDN'T BE FULFILLED ONCE TBC BE PLACED IN THE MARKET. WHY? BECAUSE THE PRICE OR THE VALUE WILL BE MANIPULATED BY THE MARKET BY ITSELF. MARKETS FUNDS MUST BE SECURED FOR THEIR OWN BENEFITS. NO POOR PEOPLE WILL BE ENGAGED TO BE PART OF THIS MONEY MARKETS BECAUSE THEY DON'T UNDERSTAND THE IDEOLOGY OF THE ACTIVITIES. ONLY THE RICH AND ELITE WILL GET MORE GAIN IN THIS PLATFORM. SO, INEQUALITY WILL PREVAIL. THE POOR WILL BECOME POORER AND THE RICH WILL BECOME RICHER. 3. THE TBC CREATOR HAS A FULL UNDERSTANDING AND KNOWLEDGE WHY TBC IS NOT IN THE MARKET, BECAUSE THE MARKET IS UNDER THE POWER OF GLOBAL FINANCIAL PYRAMID SYSTEM. THE FOUNDER HAS TO FIND A WAY TO CHANGE THE RULES SO THAT HIS MISSION WILL COME TRUE. WHY? BECAUSE HE LOVES THE PEOPLE, SPECIALLY THE POOR ONES. IF HE DOESN’T, WHY HE MUST WORK HARD FOR THIS, YET HE CAN BE LIKE THEM TOO, SELFISH, GREEDY AND POWERFUL! 4. DON'T BE FOOLISH, THINKING OR PRETENDING THAT YOU UNDERSTAND MORE ABOUT MONEY OR CURRENCY. YOU MUST REALIZE THE TRUTH WHY AND HOW YOU ARE ON YOUR FINANCIAL STATUS OR CONDITION RIGHT NOW, TRYING TO DIG THE FORTUNE IN GROUND THAT COULD HARDLY BE FOUND. 5. IF YOU BELIEVE IN GOD, YOU MUST BELIEVE IN MIRACLES, ABUNDANCE AND PROSPERITY. WHY? BECAUSE GOD IS THE CREATOR OF THEM. AND TRULY GOD CREATED THE WORLD WITH ABUNDANCE AND NOT SCARCITY. 6. OPEN OUR EYES AND MIND WITH THESE POSSIBILITIES THAT ARE HANDED TO US BY GOD THROUGH POSITIVISM, FAITH, TRUST ACTION AND LOVE. WHO ARE THE SO CALLED SCAMS? IS TBC A SCAM? 1. FOR YOUR INFORMATION, ALL BUSINESSES INCLUDING BANKS ARE CENTRALIZED ENTITIES. ALL MONEY MATTERS GO TO ONE CENTRAL ACCOUNT WHICH IS CALLED THE OWNER. 2. THIS FINANCIAL SYSTEM IS DESIGNED BY THIS GLOBAL FINANCIAL PYRAMID SYSTEM OR SHALL WE SAY THE SILENT PYRAMID SCAM. TAKE NOTE, ALL THE TRANSACTIONS UNDER THIS SYSTEM IS CONTROLLED BY THE CENTRAL ACCOUNT AND AUTHORITY. SO. ONCE FUNDS THEREIN ARE LOST, ALL THE ACCOUNTS UNDER THIS SYSTEM ARE AFFECTED. THEIR MONEY AND INVESTMENTS ARE GONE TOO. THUS, THIS IS REALLY THE BIG SCAM IN THE HISTORY. THIS IS THE CENTRALIZED MONEY SYSTEM, THE PYRAMID SYSTEM. LET'S SIGHT EXAMPLES SO THAT YOU WOULD KNOW BETTER. THERE YOU ARE, NETWORKING COMPANIES, INVESTMENTS COMPANIES, CHARITY FUNDS, BANKS, MLM SYSTEM, CENTRALIZED BITCOIN MINING, BITCOIN INVESTMENT FUNDS, AND MANY MORE. ALL OF THESE ARE STRUCTURED RATHER BY THIS PONZI SCHEME. 3. TBC IS A DECENTRALIZED CRYPTO-CURRENCY WHICH IS NOT A MARKET DRIVEN OR BASED CURRENCY BUT IT IS USERS BASED CURRENCY, THAT HAS A SOLID AND TRANSPARENT FORMULA FOR ITS VALUE OR PRICE. THEREFORE, TBC DOESN'T BELONG TO THE PYRAMID SCAM SYSTEM. NOW, THINK ABOUT THIS. WHO ARE YOU ACCUSING TBC AS A SCAM? DON'T YOU THINK THAT YOU THE ONE PROMOTING AND SUPPORTING THE SCAMS IN THIS WORLD? HAVE TIME TO WATCH THIS VIDEO. FINISH UNTIL THE LAST PART OF IT AND YOU WILL BE FED WITH KNOWLEDGE. Re: What makes TBC The Billion Coin a real Digital Currency or CryptoCurrency? Thanks for posting this article, we appreciate your time and effort But please kindly comply the introduction and verification for your to acknowledge and maybe appoints as TBC forum support.